Unusually, the vehicle valuation experts at CAP have raised the expected residual values of Mazda CX-5s by up to £1,575 over 3 years and 60,000 miles. 'Residuals' of 38-40% are based on P11D values, not discounted or premium prices actually paid, but amount to between £1,275 to £1,575 across the range compared with August 2013. The highest percentage residual value increase is on the entry-level 2.0-litre 165ps 2WD SE-L model, meaning that at three years/60,000 miles the car has a residual value of £8,650, equivalent to 40 percent of its £21,415 P11D value. The highest cash residual value increase is on the flagship 2.2-litre 175ps AWD Sport Nav Auto meaning that at three years/60,000 miles the car has a residual value of £11,225 equivalent to 38 percent of its £29,200 P11D value. Critically for fleets the benefits from the 2.0-litre 165ps 2WD SKYACTIV-G petrol and 2.2-litre 150ps and 175ps SKYACTIV-D diesel engines are class-leading low CO2 emissions and unmatched ECDC lab test fuel economy - 139g/km of CO2 and 47.1mpg on the combined cycle for the petrol powerplant and from 119g/km of CO2 and 61.4mpg for the diesel units. 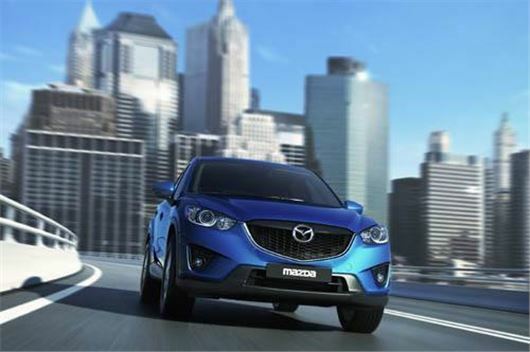 The Mazda CX-5 range is available with a choice of 2WD or all-wheel drive (AWD), manual and automatic transmissions and six equipment levels (SE-L, SE-L Nav, SE-L Lux and SE-L Lux Nav, Sport and Sport Nav). And any private buyers who bought on a PCP should see their equity in the car significantly increased at the end of the term.